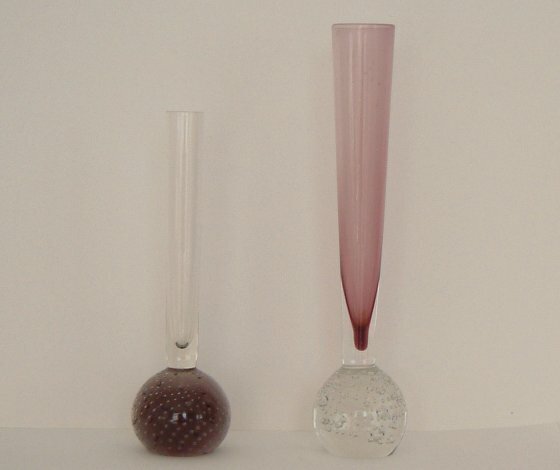 It is impossible to reproduce the colours exactly as they appear to the naked eye, as light conditions, the shape and thickness of the glass and the number and size of the bubbles all affect the colour. See below for other examples in this colour. Click on the links above to see examples of other colours. The two vases on the right appear almost black, but amethyst can be seen when held up to the light.